Are the Zeta's pressuring the TPTB r/t Courtney Brown's (CIA, NASA?) announcement that there is going to be an undeniable "announcement" in February 2014? Is that "remote viewed" announcement related to Planet X? Hmmmm. [and from another] January 22, 2014. http://www.transients.info/2014/01/an-announcement-from-courtney-brown.html Something important is going to happen sometime next month, February 2014. Nothing can stop it now. There will be an announcement, and the world will change on the date of that announcement. Part of that announcement will happen on this Facebook page, right here. In the beginning, only a few will understand the significance of the announcement, and what it means for all of humanity currently living on this planet. Some will laugh, and some will cry. But in time, the world will come to know that life on Earth changed significantly on that day in February 2014. A mystery that has confused our civilization for thousands of years will find an answer. And from that answer, a new direction for the future growth of our species will arise. Courtney Brown’s remote viewing operation at the Farsight Institute of course has links to the CIA, which from its beginning has been interested in what remote viewing via telepathy could bring in the realm of intelligence gathering and subliminal influence from the mental intrusions that telepathy can afford. The Kremlin likewise has studied such use of telepathy extensively. The CIA has remote viewing squads that it employs to harass or interrogate high level targets. The public hears little of this because there are no overt recruitment campaigns as, for instance, the Army seeking enlistments at colleges. How does the CIA locate those with inherent talent in telepathy? Enter Courtney Brown and his Farsight Institute. Under the guise of research, those with native talent are identified and the CIA notified. This is not a one-way street. Courtney gets something in return. The CIA is aware of matters in the political world well before the media is allowed to report upon it. The pending announcement admitting the presence of Nibiru, aka Planet X in the inner solar system, is one such tidbit. Did Nancy know it was February? Nancy and the Pole Shift ning moderators were informed in December that this would be the date, “mid Winter and after the Holidays”, which was stated in vague enough terms that it could not be pinned down. Listen to Nancy’s MUFON interview from December 13, 2013 for proof of this. The date is fixed, but known to hundreds because the three countries involved - Russia, China, and the US - are bracing for the date. The CIA is very much in the know, and hoping to boost Courtney’s book sales and Institute activities, so leaked the date to him. 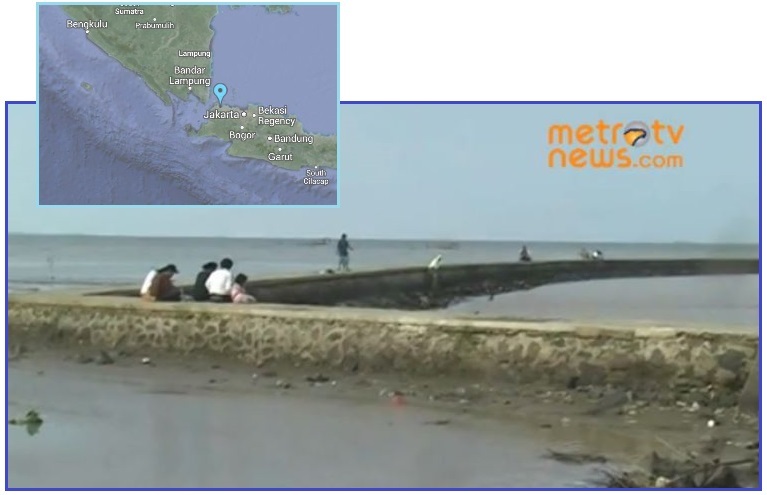 http://www.metrotvnews.com/metronews/video/2014/02/05/6/190486/Aneh-Air-Laut-Tiba-Tiba-Surut Sea water along the northern waters of Banten since yesterday, Tuesday (Feb 4), suddenly receded up to one kilometer from the shoreline. Even in the middle of the sea appeared mainland as the winding road that connects the Coral Antu with small islands in these waters. Receding water left many dead fish. Fishing boats are also stuck in the mud. This phenomenon makes people worried at the same confusion. [and from another] Tsunami http://en.wikipedia.org/wiki/Tsunami A drawback will occur as the shoreline recedes dramatically, exposing normally submerged areas. Drawback can exceed hundreds of metres, and people unaware of the danger sometimes remain near the shore to satisfy their curiosity or to collect fish from the exposed seabed. What would cause land in a sinking region to rise such that the sea recedes from the shore? Such an exposed sea shore, with fish suddenly out of the water and boats stranded, is famously known as a warning sign for a pending tsunami. The water recedes and then comes back with a vengeance. The Indonesian island of Java is sinking, as part of the 7 of 10 plate movements, and this has been going on for three years. Jakarta holds the sea at bay with sea walls but is below sea level to the extent we predicted in 2010. Why would a region near Jakarta find itself rising from the sea, then, as occurred in Banten recently? A land mass that is being pushed under another, as is happening along the Sunda Plate border wrapping to the south of Java, does not always slide smoothly. There are catch points where the slide resists, and the land being pushed under will heave, rise, during this time. This does not mean that the normal configuration will not return, after the slide is forced. And when the normal configuration returns the land will be lower than before. Banten should thus be wary. Medvedev instructed to send large state offices in the Far East. The Zetas have stated that the announcement will be in a few weeks. Obviously it is not a coincidence. [and from another] http://www.ntv.ru/novosti/838498/ Today the prime minister instructed to transfer to the Far East a number of large state-owned companies and the federal bodies of executive power. Proposals for the Far East , which will be created in the advanced development of the territory, the government should prepare to June 15. ZetaTalk has from the start of the ZetaTalk saga in 1995 stated that Siberia will be flooded, the world flooded in the Aftertime to an average height of 675 feet. As the flood maps clearly show, except for a hillock near Moscow and the Ural Mountains, Russia will have to migrate to its eastern sectors to be above the waves in the Aftertime. 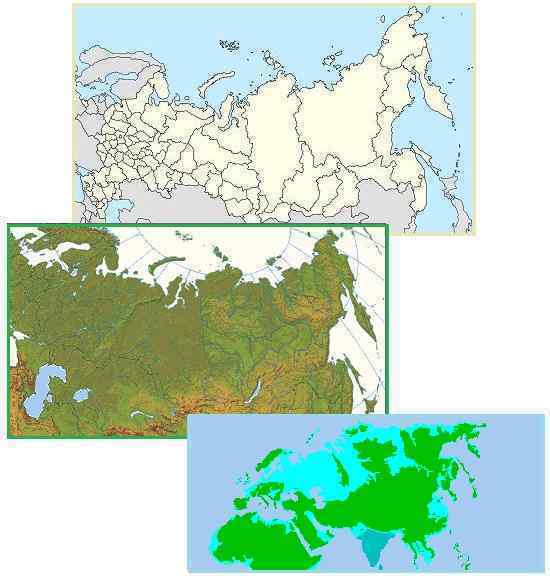 Russia has highlands aplenty there, and these are lands which will be more tropical and temperate than Russia has been in the past, a boon to their survivors. Russia’s far east is under populated, due to the cold, so can absorb its migrating population in the future when crops will flourish there. The Russian government takes ZetaTalk seriously, as do the Chinese, and these steps to move their government functions to their eastern sectors should be no surprise.